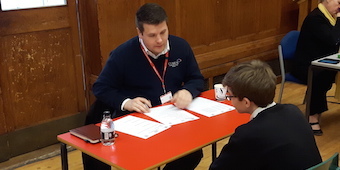 On Thursday 3rd March every year 11 student had a practice job interview, with an employer from our local community. It was quite nerve racking for our young men, but they all gained valuable experience into how to promote themselves in an interview situation. Each student also received personalised feedback on how they could improve in an interview in the future. “It was great. They said I could have an apprenticeship with them next year if I wanted it” – A very happy Year 11 student! Beverley Grammar School would like to extend a massive thank you to the people who volunteered their time and expertise to make this day a huge success. Here are the hints and tips the students were given before the interviews. ⟵BGS boys are heading to Japan!